Bavaria, one of the German federal states where a large number of Albanians live will be a nonstop destination starting 1 September 2019. Tirana International Airport announced on Wednesday that Wizz Air will start a new low-cost service directly from Tirana to Memmingen in September. The new route will serve to Albanian and international citizens traveling between the countries. Memmingen is located 117 km away from the city of Munich and an easy gateway connection to other destinations in Europe and beyond. 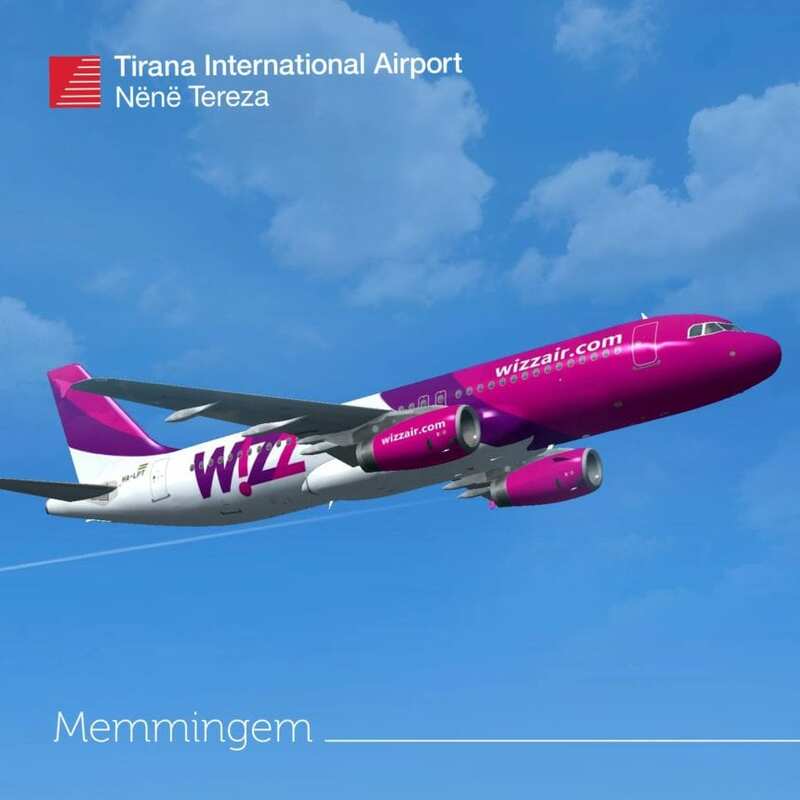 Tirana – Memmingen flight will operate twice a week on Wednesdays and Sundays. Tickets are available for online booking at the airline’s website. Wizz Air operates another direct service from Tirana to Dortmund since October 2018, and two direct lines to Budapest and London. The new service to Memmingen will boost connectivity to and through the German city. On the other hand, it will help to open up Albania as a business and leisure tourism destination in the German market. In the meantime, low-cost Germania Airline will start operating Tirana-Dusseldorf direct air route on May 30, 2019. According to the schedule, two weekly flights will operate between Tirana and Dusseldorf on Thursday and Sunday.